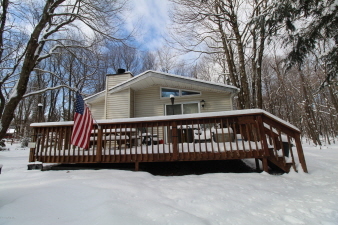 Cozy mountain home at the end of a peaceful cul-de-sac in amenity filled Towamensing Trails. This home features 3 bedrooms, 2 bathrooms, brick wood burning fireplace, cathedral beamed ceilings, spacious kitchen, deck and a shed. Put in an offer!